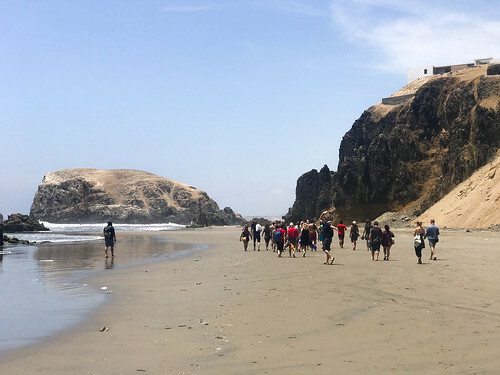 In this extensive post we recall the Kalachakra Initiation given by Beru Khyentse Rinpoche at the Karma Guen Diamond Way Buddhist Retreat Center in Spain one year ago, as well as the meaning and significance of the Kalachakra Tantra. In May and June 2009 several friends from the Diamond Way Buddhism UK sangha travelled to Spain to participate in a series of important Buddhist events. 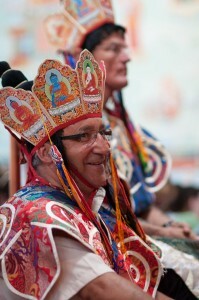 The Kalachakra initiation took place on May 27-28, and was attended by 1,400 international friends. This was followed by the initiation of Loving Eyes (Tib. Chenrezig) by the Fourth Jamgon Kongtrul Rinpoche (who is Beru Khyentse Rinpoche’s son). 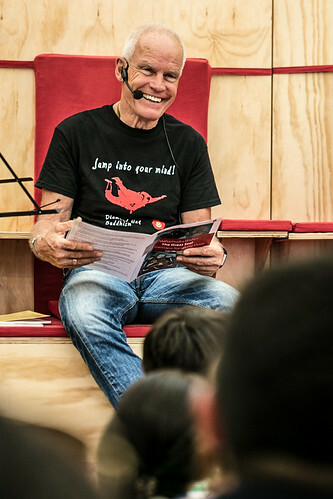 After this Lama Ole Nydahl gave a Phowa course attened by 1,000 friends. This was followed by the programme of H.H. Karmapa Trinley Thaye Dorje from June 2-8. Gyalwa Karmapa gave the initiation of Almighty Ocean (Tib. Gyalwa Gyamtso) and teachings on Shantideva’s Aspiration Prayer from the Bodhicharyavatara “Engaging in Bodhisattva Conduct”. 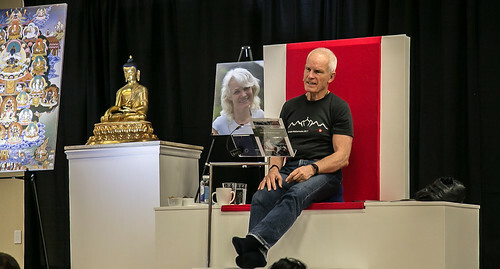 These were attended by several important guests including Gyalwa Karmapa’s parents Mipham Rinpoche and Mayumla, Lama Jigme Rinpoche from Dhagpo Kagyu Ling in France, Nendo Rinpoche, Lama Ole Nydahl, Lama Jampa Thaye, the Gómez family who founded Karma Guen, and around 1,600 international friends. Gyalwa Karmapa also visited the Benalmadena Stupa and gave the initiation of White Tara. Many photographs from all the events can be seen at the White Umbrella website, here, here and here. The Kalachakra Tantra is regarded by many as the essence and heart of the Diamond Way (Skt. 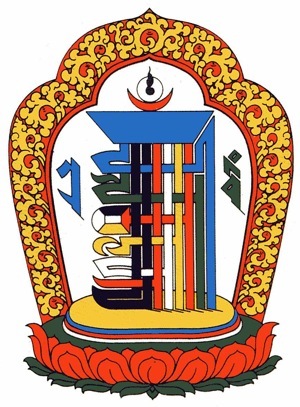 Vajrayana). The Kalachakra belongs to the Maha Anuttara, the most profound and highest class of Buddhist tantra, and it contains the most subtle instructions on the achievement of Buddhahood. Suchandra (Tib. Dawa Sangpo), the first king of the mythical kingdom of Shambhala, and an emanation of Diamond in Hand (Skt. 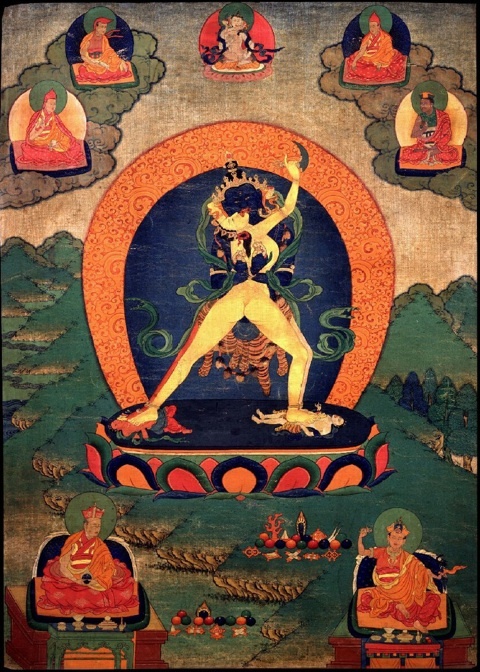 Vajrapani; Tib. Channa Dorje), requested Buddha Sakyamuni to give teachings about Kalachakra. On the full-moon day of the third month, at the stupa of Shri Dhanyakataka (Tib. Palden Drepung) in the south of India, before an assembly of innumerable Buddhas, Bodhisattvas, Dakas, Dakinis and other beings, the Buddha manifested in the form of Kalachakra, transmitted the complete initiation and gave teachings on this Tantra. Shri Dhanyakataka lies near the ancient town of Amaravati, a small town in Andhra Pradesh in south-eastern India, which Buddhist scriptures describe as the place of origin of many of the Buddha’s tantric teachings. It is explained that Buddha “bilocated” (appeared in two places at once), as at the same time he was also delivering the Transcendent Knowledge (Skt. Prajnaparamita) sutras at Vulture Peak Mountain (in present-day Bihar). Subsequently King Suchandra took the Kalachakra tradition with him to Shambhala, where it was preserved by a line of bodhisattva kings. In Shambhala, King Suchandra built up a three-dimensional mandala of Kalachakra, absorbed himself in the practice and gave the transmission of the whole cycle to all inhabitants of Shambala. The royal lineage kept the transmission unbroken, and it was brought back to India in the mediaeval period by the siddha Chilupa (Kalachakrapada), after which it spread out to India and then Tibet. 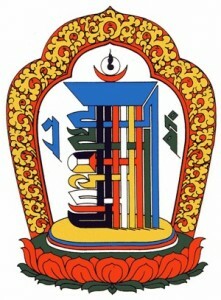 Kalachakra (Tib. Dus-‘khor) means “Wheel of Time.” Its outer meaning deals with the universe and all traditional sciences such as astronomy, astrology, mathematics and medicine. Its inner meaning relates to the human body, its internal structure and subtle energies, to be developed through yogic practices. Its secret meaning refers to the complete cycle of study and practice of tantric meditation on the Kalachakra yidam and it’s Mandala. Shambala is said to be a “Pure Land” within our world, only to be perceived by beings with pure mind and the right karmic connections. When disasters caused by disturbing emotions will affect the Earth, it is prophesised that Kalachakra, as the 25th King of Shambala, Rudra Chakrin “King of the Iron Wheel”, will manifest again in our world. At the end of a spiritual war against retrograde forces of suppression, he will establish a reign of happiness, free of confusion and suffering. The Kalachakra initiation therefore pacifies conflicts, develops peace and welfare, reduces suffering and increases love, kindness, compassion, wisdom and joy. The Buddha prophesized that all who receive the Kalachakra initiation will take rebirth in its mandala. By receiving the initiation, one establishes the imprint of future rebirth in Shambhala at the time of King Rudra Chakrin, whose reign will bring about this golden age. 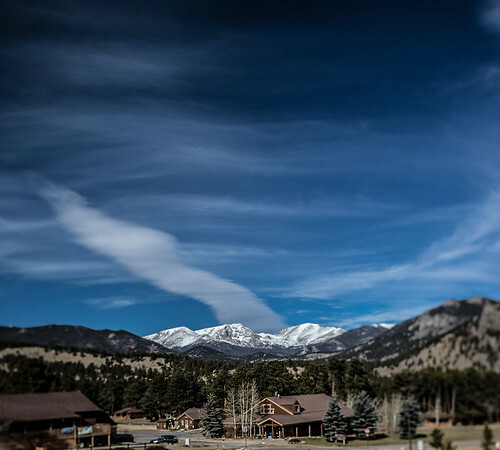 There is a long-established connection between Karma Guen Diamond Way Buddhist Retreat Center and Kalachakra. Karma Guen is located in the astonishing Andalusian Mountains, overlooking the Mediterranean Sea to the south and the Zafarraya “Lions Gate” to the north in a village originally named Aldea Alta. 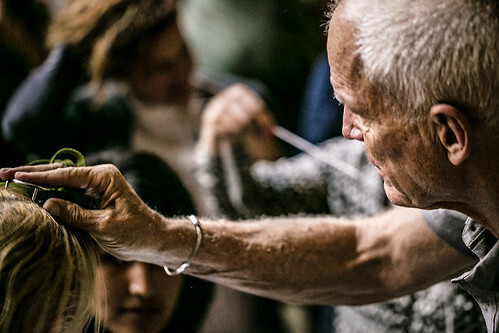 Having been abandoned in the 1970s, Aldea Alta was bought by Dorrit and Pedro Gómez and transformed into a retreat centre as an act of gratitude towards their teachers Hannah and Lama Ole Nydahl. While traveling in Eastern Tibet in the 1980s, Pedro Gómez saw a Kalachakra stupa near the old border of Tibet and China. 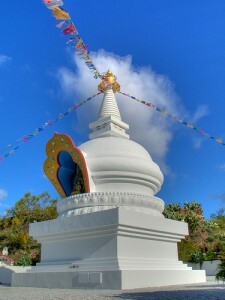 This stupa was constructed to protect against negative energies from outside the country. It was here that Pedro was inspired to build a stupa with the same purpose in the south of Spain. Wojtek Kossowski was the architect, and under the guidance of Lopön Tsechu Rinpoche (1918-2003), the Kalachakra stupa was constructed in the summer of 1994, from July 18 to September 12. This kind of stupa is very rare, it is only the third of its kind to be built in the world. It is 13 meters high, and has a ground area of 49 square meters. Placed inside were many relics from the present and former Buddhas, the complete Kanjur (all of Buddhas teachings) and Tenjur (the commentaries by the Indian and Tibetan masters) as well as worldly objects. The stupa was constructed without any obstacles, and between 15 and 22 October 1994 it was inaugurated in the presence of people from all over the world, who were witness to many auspicious signs which appeared on that occasion. The stupa was built in honour of the 17th Karmapa Trinley Thaye Dorje and dedicated to his activity. Lopön Tsechu Rinpoche was a holder of all Kalachackra lineages and it was on this occasion that he bestowed the complete Kalachakra lineage transmission on Lama Ole Nydahl, making him in turn a Kalachakra lineage holder, fully qualified to pass on the transmission. The 2nd Beru Khyentse Rinpoche (born 1947) is an important lineage holder of the Karma Kagyu school. 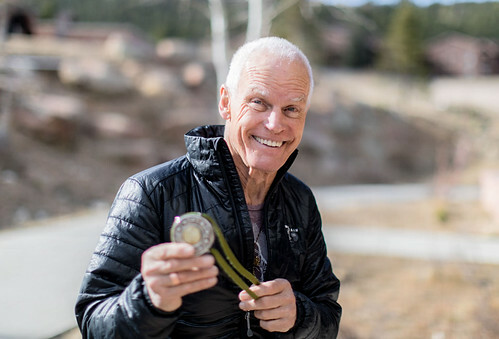 He is also a very prominent contemporary master of the Kalachakra Tantra. The 16th Karmapa recognised Beru Khyentse Rinopche in Tsurphu Monastery in Tibet, when through his knowledge of the past, present and future he wrote down the name of Rinpoche’s parents and the place of his birth, and then sent a party to find him. In 1959 Rinpoche escaped from Tibet, travelling for one and a half years overland into Nepal. The transmission of the Kalachakra initiation that Beru Khyentse gave in Karma Guen belongs to the Jonang lineage. Though not officially recognized as a fifth school of Tibetan Buddhism, the Jonang tradition is very important in that it has preserved the Kalachakra practice lineage, especially of the completion stage practices. In fact, the Kalachakra is the main tantric practice in the Jonang tradition. 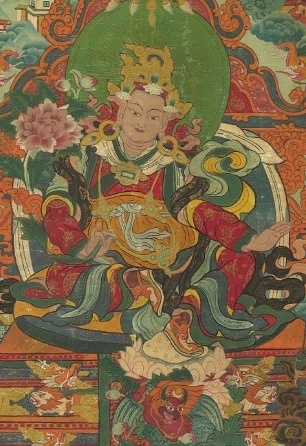 Though the Jonang were considered by Western scholars to have been extinct since their 17th century demise in Central Tibet, and were thought to have assimilated into alternative Tibetan Buddhist traditions such as the Nyingma, Sakya, and Kagyu, the Jonang are now known to have survived as their own distinct tradition. Beru Khyentse Rinpoche explained that he had received the Kalachakra transmission many times from all traditions, including the Karma Kagyu transmission from the 16th Karmapa, the Jonang transmission from Kalu Rinpoche, and the Gelugpa transmission from the Dalai Lama (in 1956 in Tibet, in Bodh Gaya and in Amaravati (the place where the Buddha first gave the transmission). Before granting the initiation Rinpoche stated humbly that he was neither a scholar nor practised but believed that because the blessing of the transmission is very strong it works! Rinpoche stressed the importance of developing the enlightened attitude – the wish to benefit all beings by reaching the state of a Buddha. 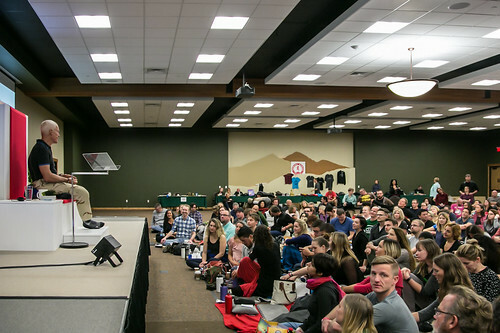 He recounted how the 16th Karmapa constantly wished “may all beings have kindness and compassion in their minds.” Rinpoche stated how karma and disturbing emotions are the cause of this age of degeneration where there is little time and lifespans are short. He explained that the practice of Kalachakra can pacify these obstacles and the intention to receive the initiation to remove obstacles is very good. 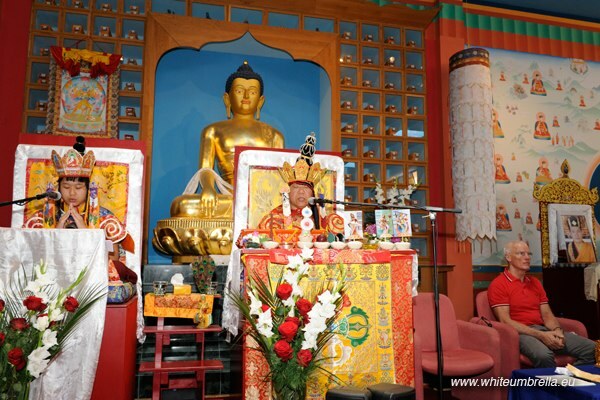 Rinpoche explained that Buddha taught three cycles of teachings, the highest being the Diamond Way, which can be classified in four tantra classes. In the highest of these (Kalachakra being the highest of the “Non-Dual” tantras), one doesn’t have to give up activities as it is the vehicle where one can transform and overcome all disturbances. As such it is known as the “secret mantrayana”. 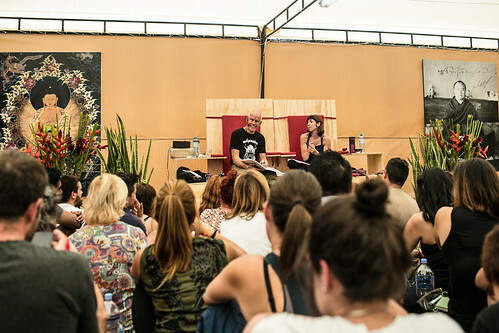 During Rinpoche’s teachings, he quoted Tilopa’s words to Naropa, “Appearances do not bind you to cyclic existence, only your attachment to them.” Rinpoche added that people may misunderstand the highest level of tantra (in which the Buddha forms are always depicted in sexual union) and think that it creates more desire, but in fact it is actually the union of means and wisdom if understood correctly. The result of practicing it is the accomplishment of Buddhahood in one, two, three, five or seven lifetimes. 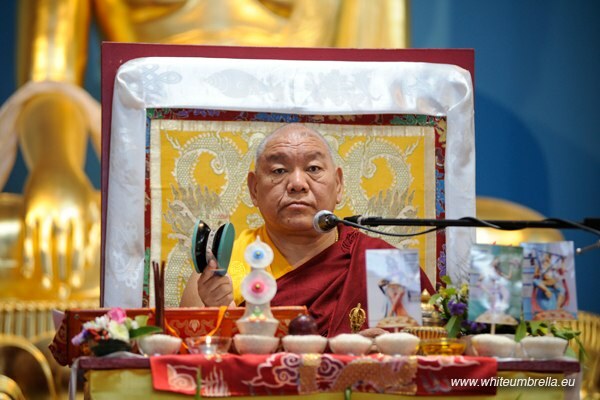 Rinpoche explained that the root of the Diamond Way is initiation and the profound bond (Skt. Samaya) between teacher and student. The student should view the teacher as Diamond Holder (Skt. Vajradhara; Tib. Dorje Chang) with all the accompanying qualities. To keep the connection means not to go against the body, speech or mind of one’s teacher. 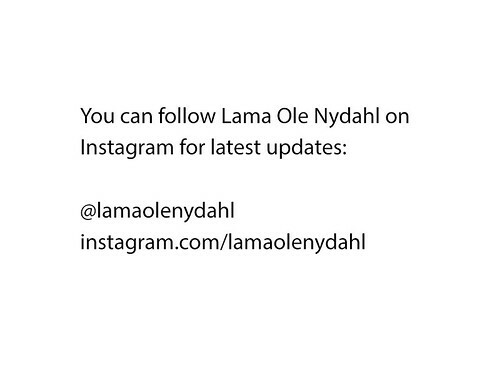 Beru Khyentse Rinpoche expressed how Hannah and Lama Ole Nydahl kept unbroken samaya with their teacher, the 16th Karmapa. As pictured here, Mipham Rinpoche (the father of the 17th Karmapa Trinley Thaye Dorje), Lama Ole Nydahl and Pedro Gómez were dressed in ceremonial ornaments during the initiation. The general meaning of the “headgear” is the Boddhisattva crown: The bound-up hair and the five aspects of the crown symbolise the five Buddha families and wisdoms. The robes also emulate the garments of a Buddha aspect. It shows that the Lama and the (developed) students attending the initiation embody the Buddha Kalachakra in a physical manner. It was an unforgettable event, and many friends from the UK Diamond Way sangha plan to attend the inauguration of the second Kalachakra Stupa in Europe, at the Diamond Way Buddhist Retreat centre Karma Berchen Ling, Greece, in September 2010. We hope to see many of you there! This entry was posted on Sunday, May 9th, 2010 at 2:33 pm and is filed under Diamond Way Buddhism, Event Reports. You can follow any responses to this entry through the RSS 2.0 feed. You can leave a response, or trackback from your own site.